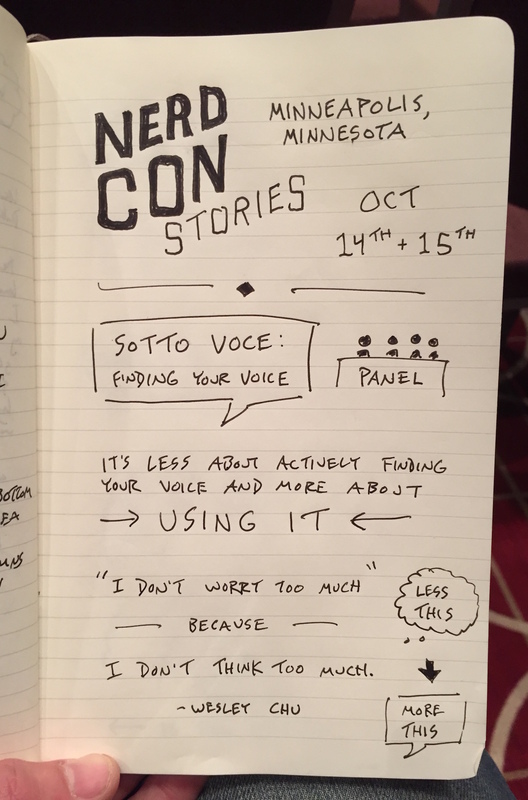 The moment I began sharing my sketchnotes on this site and writing up written reflections of what I was learning was the moment I began using my voice in a public way. Now I use my voice in different contexts as well – I’ve got a teacher voice that I put I use at Verbal To Visual and my traveler voice that I share via my personal YouTube channel. So I’ve got a teacher voice and a first-person narration voice. That isn’t to imply that they’re not the same voice, but I do think that context matters, and that the expression of my voice depends on the situation in which I’m using it. 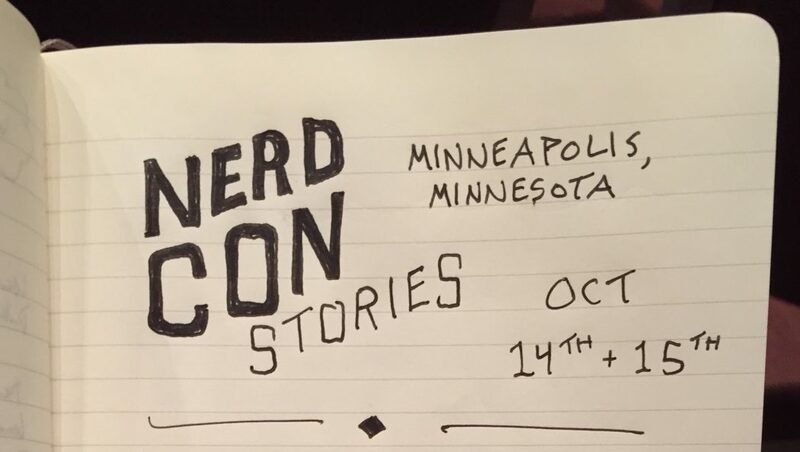 As I’ve used my voice more and more over the past five years I’ve never been fully confident in its authenticity, which is why the Finding Your Voice panel at NerdCon: Stories appealed to me. It’s less about finding it, and more about using it. You don’t so much find your voice by searching for it, but instead you uncover it by using it. That takes some of the pressure off, and puts the emphasis on simply telling stories rather than fretting about how your voice sounds. It’s for that reason that my main goal right now is consistent output (along with incremental improvement). With each new sketchnote and written reflection, with each new video lesson shared at Verbal To Visual, and with each new travel video that I make, I’m slowly but surely uncovering my voice. In the specific is the universal. This point gives me the strength to share more of my personal story, both here as I reflect on how I want to apply specific ideas to my life, and also on my personal YouTube channel where I’m experimenting with a semi-nomadic lifestyle to see if it fits me well. This idea fits well for Verbal To Visual too. 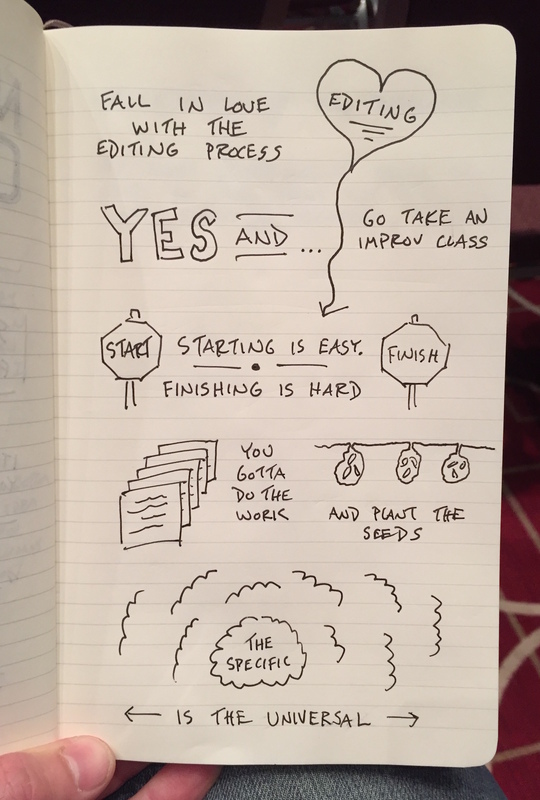 At that project I feel like I’ve outlined the fundamental principles behind the skill of sketchnoting (which I teach in An Introduction To Visual Note-Taking) and now it’s a matter of applying those principles to specific careers and specific situations. It’s both fun and useful to get specific and get practical, always with the overarching principles in mind. So I’ve got to keep putting in the work, keep planting the seeds, and keep telling stories. There’s a simplicity to that grind. And a sense of satisfaction that results from it.